Here is the 2nd 30-second CM of Namco Bandai Games' Wii U and PlayStation 3 Kamen Rider: Battride War II. The Kamen Rider movies have been toyed with and to restore to their true form, the Riders must reawaken their ultimate powers! 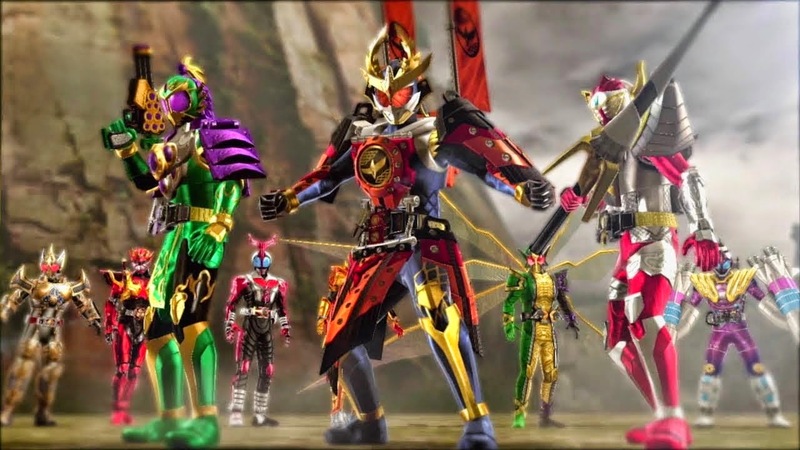 Also featured are Kamen Rider Girl's Break The Shell and the game villain named Cinema. His catch phrase is "Let's make this a blockbuster!" It was reported recently, the announcement of Kamen Rider Shin Zangetsu and Tokugawa Yoshimune to be included in the game. Shin Zangetsu will be included in an upcoming DLC while Tokugawa Yoshimune as a support. Kamen Rider: Battride War II is slated for release on June 26 for 7,120 yen in both platforms. Bandai Namco Games will also release a limited Premium TV & Sound edition in August containing 40 songs from past Heisei Rider shows for 10,450 yen.